Are you tired of having regular pancakes in your kitchen and want a different flavor this time? 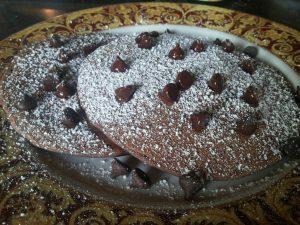 How about some chocolate pancakes? that sounds interesting doesn’t it?. I was wondering as well so I tried this recipe without eggs in it. This can be made as a low budget cake too. Here’s the recipe that i used.